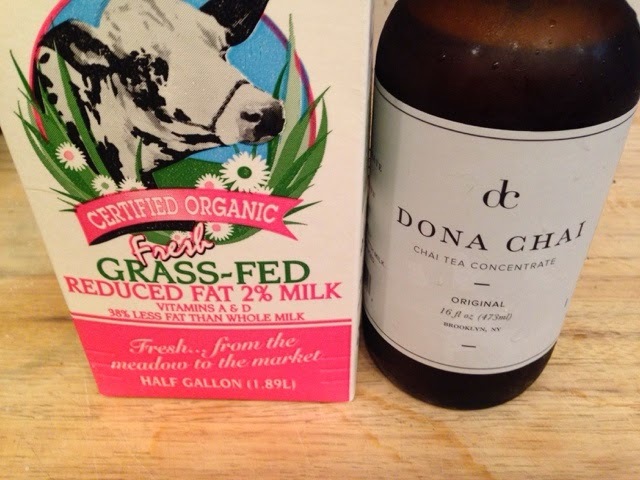 Now that we've learned all about Dona Chai, it's time to talk more about the taste! This product is easy to prepare. 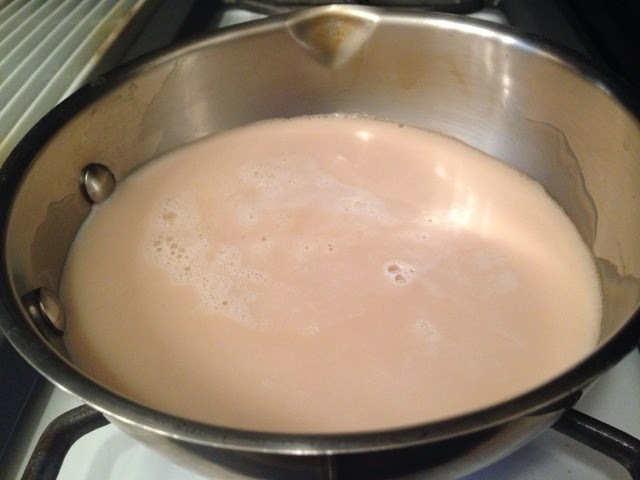 It can be made hot or iced by adding equal parts chai to equal parts milk of your choice. I tried it both hot and iced, with organic cow's milk. 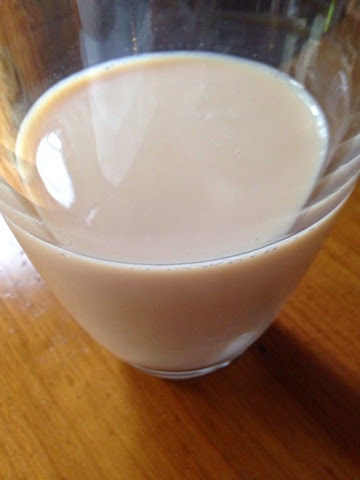 The chai tasted very similar at both temperatures, but I preferred the flavors when hot. 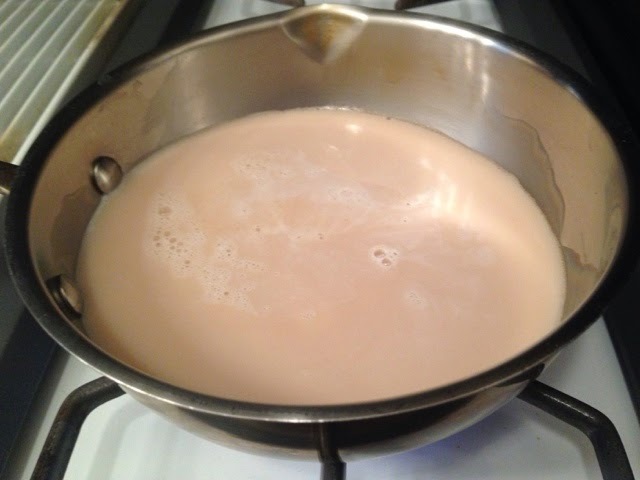 I think warming lets everything blend better into a smoother brew. My only concern would be for health- all of that lovely cold pressed ginger would probably lose some potency during the heating process. But I'm going for flavor, so hot is definitely what I prefer. I also just like hot tea in general, I drink hot tea all throughout the summer. The flavor in the brew is all about the ginger, strong and zingy. But it doesn't overpower, the other spices shine through as well. The flavors are very well balanced. Spicy ginger, warming cloves and cinnamon, the tingly hum of cardamom and black pepper. Even a mellow vanilla flavor comes through, and most of all you can taste the black tea! 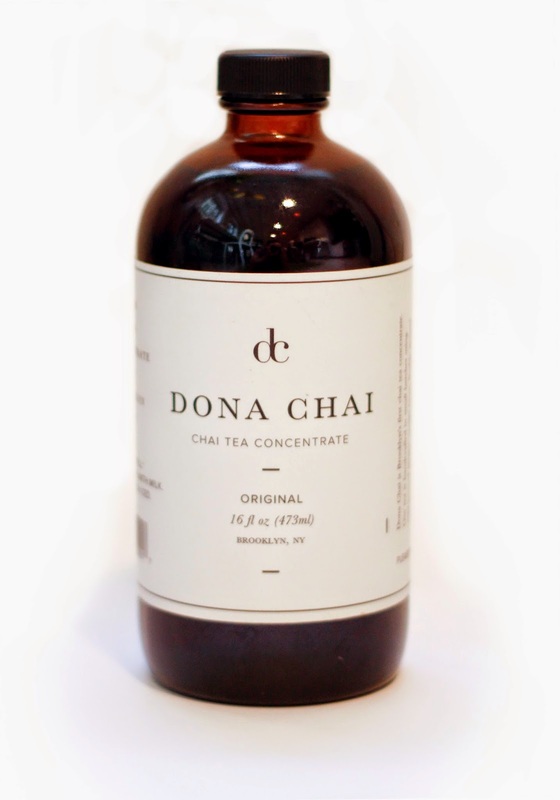 It's rare to find a chai concentrate that let's the tea have its own voice. My one criticism is that the brew is a bit sweet for me. I do enjoy the sweetness of chai, but with a bit more subtlety. I usually make my chai from scratch, but this is a lovely treat for lazy (or crazy) mornings. I often crave chai while I'm out, and I would order this over any other I've tried at a cafe without hesitation. I'm excited to see that at least one of my local cafes carries the brand. Keep an eye out, it's starting to pop up around Brooklyn and Manhattan! You can find all the locations here.